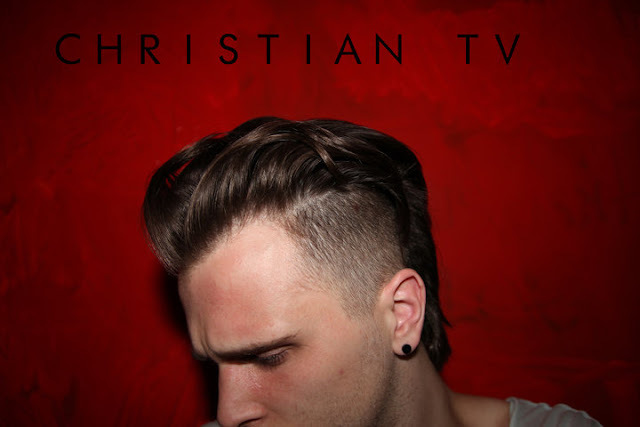 Anyone remember back in October when I posted about this talented new artist called Christian TV? Well go ahead and refresh your memories cause this guy is about to POP. Christian TV (AKA Christian Berishaj) is a talented singer/songwriter (and member of the band Love Arcade) who's HOT song, "When She Turns 18" had me lusting over him last Fall. Signed to Universal Motown here in America (Mercury Records in the UK) Christian TV worked with Benny Benassi, Quinn Allman and Luke Walker on his debut album, Diary of an 80s Baby, due out sometime in 2011. As he prepares to release his official first UK single, "When She Turns 18" on February 13th Christian TV will simultaneously be unleashing a new single on his American fans. The Kevin Rudolf-produced, Savan Kotecha-written track "Love2Baby" will be out on U.S. iTunes February 15th, the same day it impacts radio. Featuring a HOT music video directed by Ethan Lader (Mariah Carey, Bruno Mars) this is bound to be one of THE hot singles of the Spring. Check out this VIDEO TEASER, directed by Christian TV himself and look out at the 3:00 mark for a live performance of "Love2Baby," recently performed at L Bar in Hollywood. This sounds like a hot one folks! While you wait, download "When She Turns 18" on iTunes HERE. Canadian Electronica duo, Lola Dutronic (Richard Citroen, Lola Dee) have released the music video for their latest single, "The Best Years of Our Lives" (Electro Mix) off of their critically acclaimed EP, Musique, released on Red Star Digital Music last May. Adapting their music from French and British artists of the 1960s (i.e. - Serge Gainsbourg, Françoise Hardy, Brigitte Bardo), Lola Dutronic master the art of mixing old and new into something unique and interesting. By infusing vintage sounds with modern electronic beats, this talented duo is shinning a much deserved spotlight on a genre of music not often showcased anymore. The video for "The Best Years Of Our Lives" is the perfect complement to an already perfect bit of pop magic. The Grammy-nominated Lola Dutronic has been around since 2004 and has released four albums. Album #2, The Love Parade received a Grammy nod in the dance/electronica category After original vocalist, Frankie Hart left the group in 2008, Berlin-based Lola Dee picked up the pieces and infused her own unique vocal stylings into the music. Now signed with Marty Thau (Blondie, Suicide, The New York Dolls) and his Red Star label, Lola Dutronic is looking to take the music world by storm. Check out the super chic video for "The Best Years Of Our Lives" below and download the Musique EP on iTunes HERE. Maroon 5's new single is kind of BLAH. Don't get me wrong, I definitely consider myself a Maroon 5 fan but as far as singles go this album, I'm just not really feeling any. OK, that's a lie..."Misery" was a strong track for me but to be honest - everything Adam Levine + crew has put out since 2002's Songs About Jane has just paled in comparison. Now that they're on album #3 I think they kind of need to evolve their sound. I started getting optimistic when they released that remix album, Call and Response, and YES - "Misery" did get some sick dance remixes but this new single is just so lackluster for me.I think there are songs here and there that verge on new sounds ("Give A Little More," for instance is very electro-inspired) but they keep reverting back to their old sound. It's all just a bit jarring and confusing. The video, which premiered yesterday on VEVO, seems to be all about living life in the public spotlight. Levine and a pretty lady are scene making out and rolling around in a bed on a moving truck, among other public places. Directed by Tim Nackashi (OK Go) the video illustrates the harsh reality dating in the public spotlight, perhaps beating us over the head with it. 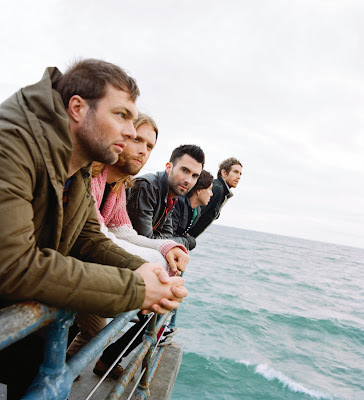 Hands All Over (A&M/Octone) was released last September and peaked at #2 on the Billboard 200 chart. So far, "Misery," the album's debut single has been the most successful released off the album, peaking at #14 on the Billboard Hot 100. Follow up single, "Give A Little More" peaked at a disappointing #86. The band is currently in the midst of a (mostly sold-out) European Tour. The band will be back in the States this summer. Check out the band's website for tour dates. Check out the video for "Never Leave This Bed" below. 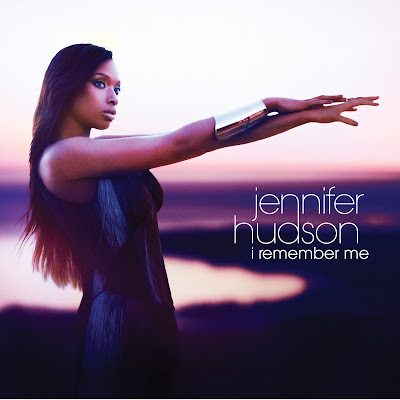 Since Jennifer Hudson announced her new single, "Where You At," last month, I've been loving it more and more with each listen. Hudson's talent is immense and shines through brightly on the new single. The single, released this week digitally is the first off of her upcoming sophomore record, I Remember Me, due out March 22nd on Arista Records. The album, a follow up to her self-titled debut, features production/songwriting from Ne-Yo, Alicia Keys, Diane Warren, Stargate, Rich Harrison, Ryan Tedder and more. "Where You At" debuted at #53 on the Billboard Hot R&B/Hip-Hop Songs chart February 3rd due to strong radio support, a sign of good things to come for sure. Catch Jennifer performing the R. Kelly-written single for the first time on The Oprah Show February 10th. The album is currently available for pre-order on Hudson's official website (HERE) and on Amazon. Download "Where You At" on iTunes HERE. Oh - and check out the STUNNING new album artwork up top. Hudson, a spokesperson for Weight Watchers has been working hard and trimming down. She's reportedly gone from a size 16 to a 6 and looks ABSOLUTELY amazing. AHHH! Amazing! Check out the JUST RELEASED artwork for Lady Gaga's new single, "Born This Way." I'm captivated. The single is set to premiere on February 11th at 9:00 AM EST. Lady Gaga posted the artwork via Twitter with the message: "Trois Jours," or THREE DAYS! Produced by Gaga, Fernando Garibay and DJ White Shadow, "Born This Way" will be released worldwide on February 13th, the same day Gaga is scheduled to perform the track at the 53rd Grammy Awards in LA. The song will be serviced to radio on February 15th. "Born This Way" is the first single to be lifted off her album of the same name, due May 23rd on Interscope Records. As the follow up to Gaga's successful debut, The Fame (and subsequent Fame Monster EP) this talented artiste has a lot of hype to live up to. The Fame peaked at #2 on the Billboard 200 and went straight to the Top of the chart in 7 other countries, including the UK. Two #1 singles ("Just Dance," & "Poker Face"), four Top 5 singles ("LoveGame," "Bad Romance," "Telephone," & "Alejandro") and one Top Ten ("Paparazzi") - I think it's safe to say that Lady Gaga dominated the charts in both 2009 and 2010 with 2011 looking to be another big year for the 24-year old. 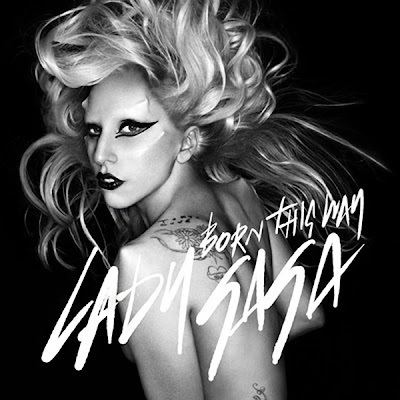 Is Born This Way one of my most hotly anticipated albums of 2011? I think that's a fair assessment, despite the fact that it's only February. Tune in this Sunday to see Lady Gaga perform "Born This Way" on the Grammy's and grab yourself a copy if you like it. Be on the look out for another provocative Lady Gaga video, this time directed by Jonas Akerlund (Britney Spears, "Hold It Against Me"). So much good pop music to come this year! No analyzation necessary. The video for Britney Spears' "Hold It Against Me" premieres a week from Friday on February 18th. Get ready!